Several readers featured in Jay Skurski's Bills mailbag wanted to know about the possibility of drafting a tight end in the first round. Tight end is one of the Bills' biggest needs, along with defensive tackle, defensive end and wide receiver. But is the position important enough to merit the ninth overall selection? "Here’s where I stand on drafting a tight end at ninth overall," Skurski wrote. "If you’re doing it, you better be getting Rob Gronkowski. The problem is, there’s only one Gronk. Any tight end drafted that high is going to have unreasonably high expectations. Also, with the depth at the position, it’s possible to get a contributor on the second or even third day of the draft, so that would be my preference." 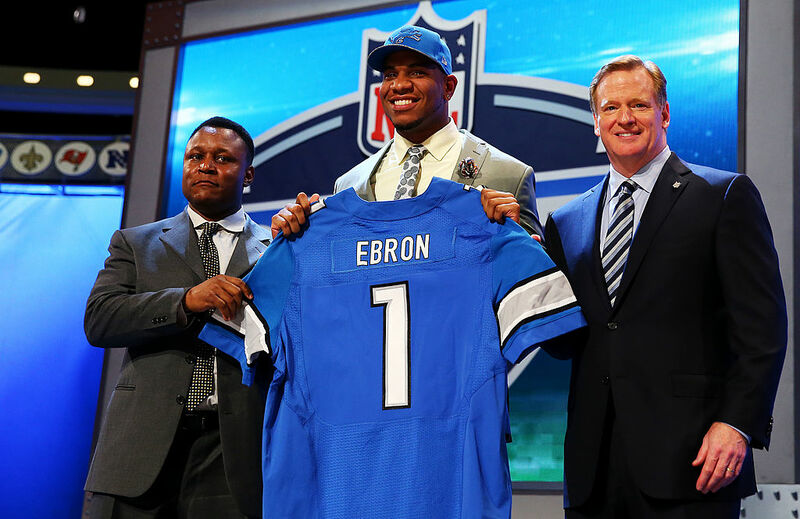 Since the 2000 draft, only five tight ends have been drafted in the top half of the first round: Vernon Davis (6th, 2006), Kellen Winslow (6th, 2004), Eric Ebron (10th, 2014), Jeremy Shockey (14th, 2002) and Bubba Franks (14th, 2000). Davis and Shockey were top players at their position and Winslow was very good when he was healthy. Franks made three Pro Bowls but didn't put up huge numbers, and the jury is still out on Ebron, who looked like a bust with the Lions before a breakout season with the Colts (never forget, the Bills were reportedly leaning toward taking Ebron at ninth overall in 2014, even over Odell Beckham Jr., before trading up for Sammy Watkins). Between the five players, they have one First Team All-Pro selection from Shockey. Iowa's T.J. Hockenson and Noah Fant are the top prospects at the position, but both feel like a reach in the top 10. If the Bills trade back, tight end could be in play. Report: Bills to host Alabama DT Quinnen Williams on pre-draft visit: Williams isn't likely to make it to ninth overall – it would probably take a trade up for the Bills to land the draft's top interior defender. Quarterbacks Tyree Jackson, Jake Dolegala among players expected at Bills' local pro day: A handful of local products will showcase their stuff for scouts one final time before the draft. Former Bills RB Cierre Wood charged with murdering girlfriend's 5-year-old daughter: Yikes. Sending prayers to that situation.